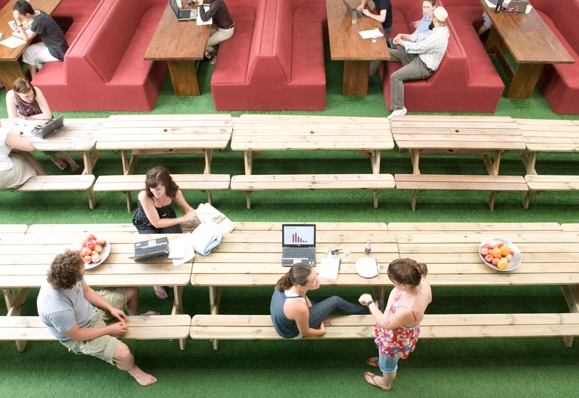 It’s fair to say Richard Reed, CEO of Innocent Drinks has mastered the art of branding. You’ll know when you’re on the mark if your product makes people smile. Click on Innocent Drinks’ website, I dare you. Go on. Spend just a minute on there. You’ll have to be pretty miserable to leave the site without at least a smirk on your face. Innocent have this incredible and, er, ‘innocent’ humor behind their branding that customers love. It secures their custom and gets them spreading the word online and face to face. Similar to Moo.com, they’ve developed anthropomorphic characteristics in their products, packed with personality which differentiate themselves from competing brands like Tropicana. It’s a crazy, fascinating and funny story. Innocent began selling smoothies in 1999 at a music festival. They put up a huge sign with “Who thinks we should leave our jobs to make smoothies?” written across it. Two big bins stood in front of paying customers, one said YES in big letters and one said NO. Customers voted with their empties, and sure enough, at the end of the weekend the yes bin was heaving. The advantages of hiring talented, creative, self-starters far exceed average talent. They’ll work towards making a company they’re proud of treating the business as if it were their own. Read a little more about what it’s like to work for Innocent here. 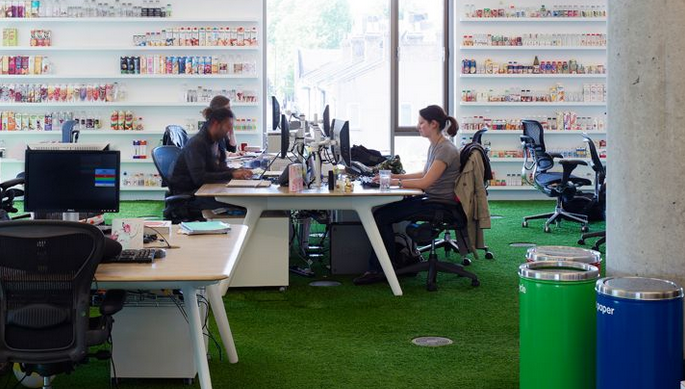 There are some really fascinating stories from ex-employees on how working for innocent drinks changed and kick started their lives. Free brekkie all round to promote a healthy start to the day, and catch up with co-workers. Great for team building, sharing ideas and starting the day in a positive way. Friday beers. Well, which office doesn’t do this? Apart from innocent have a 2 hour free beer tab in a local pub. Work-hard, play-hard. Innocent scholarships are given to three lucky employees on a quarterly basis. They’re given £1000 to put towards something they’ve always wanted to do with their lives. Every year, a chosen employee gets the chance to have an extra week holiday to work with one of their foundation projects. (and best of all) free smoothies, duh. If you’re looking for cool ways to differentiate your brand, to stand out against competitors, take a look at innocent’s company blog, twitter and website for inspiration. They’re the epitome of work happiness and it sure is reflected in their success.